When you live an adventurous life, you need a car that can keep up with you. Something that will handle the bumps, yet transport you in complete comfort. 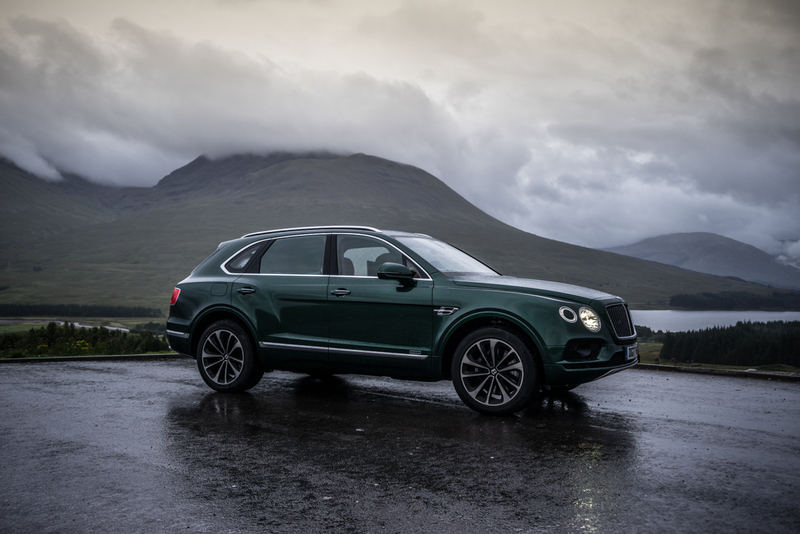 The Bentley Bentayga Diesel is that car. 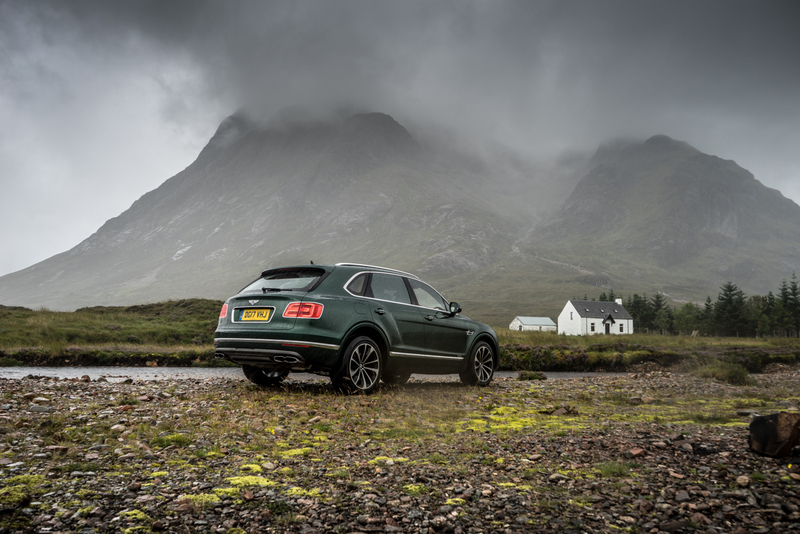 We set off on an incredible adventure out to the Scottish highlands with nothing but a tent, some food for the night and our Bentayga Diesel, which was thankfully full of, well. Diesel! 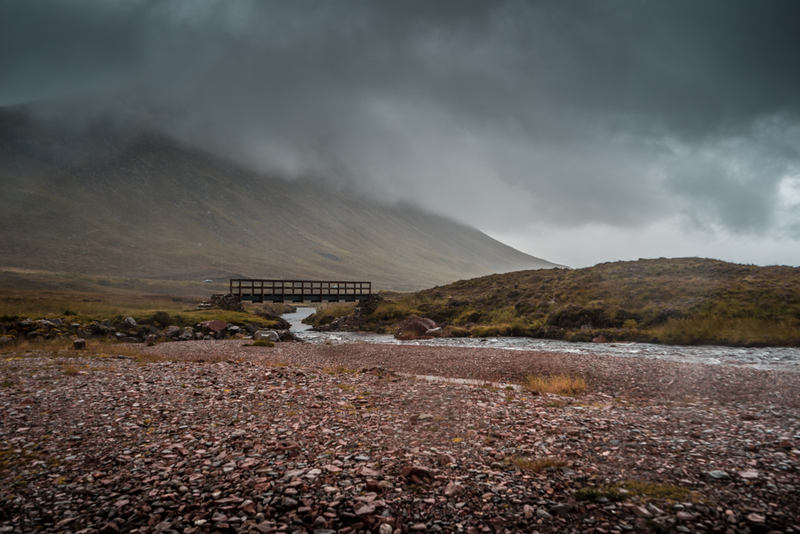 Glencoe is known for its beautiful scenery, which transcends you into another world as you drive through the towering mountains, which were historically carved out by volcanic explosions and gigantic glaciers. 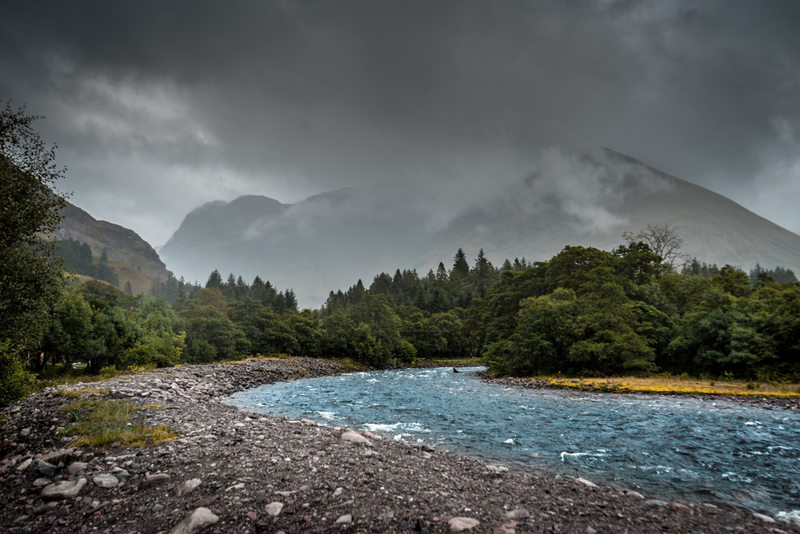 The village of Glencoe is located between the banks of Loch Leven and the famous glen and set the scene for our trip. Hi Scotland! Well, now that the very beautiful scene is set, let me tell you about the car. We are driving what Bentley calls “The world’s most refined 8-cylinder diesel engine” and I wouldn’t really argue with them. It’s so very impressive. The 4.0 litre, 32-valve diesel engine ensures the driver a top speed of 168 mph (270 km/h) and makes the sprint from 0 to 60 mph in just 4.6 seconds. Yes it’s Diesel, yes its an SUV and YES that is the 0-60 time. The engine makes 429 bhp and an impressive 900Nm of torque. 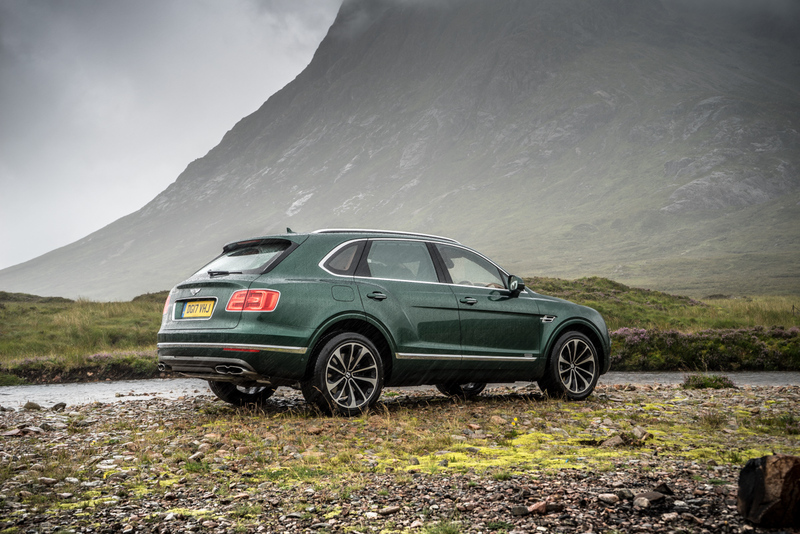 One of Bentayga Diesels coolest new features is the ‘triple-charging’. Basically, twin-scroll turbochargers uniquely boosted by an 48V electrical system virtually eliminate turbo lag which makes this car extremely responsive. Another thing to note is the 85 litre fuel tank will get you 1000km with a combined fuel consumption of 35.3mpg. In a Bentley. 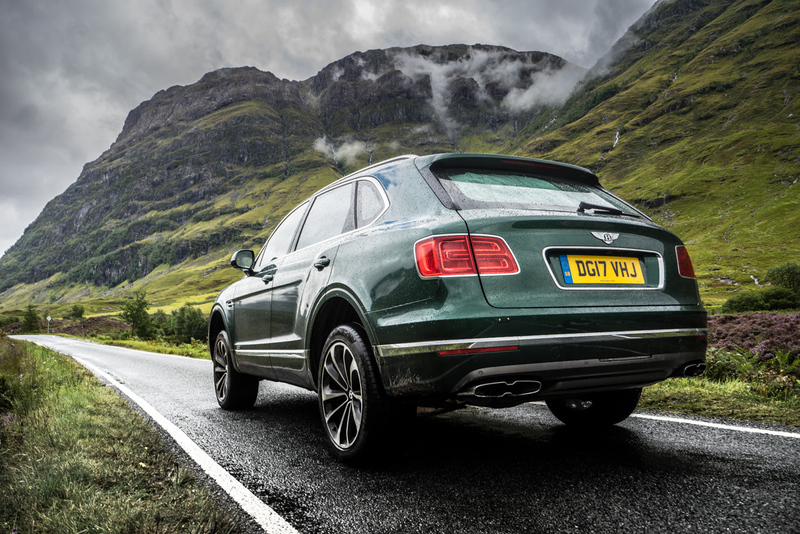 Driving the Bentayga Diesel is a true experience and something that is hard to be tired of. The smooth linear surge of power kicks in anytime you hit the pedal and even cornering is dynamic and fun with such a high level chassis and superb technology. The basic driving elements are amplified by incredible comfort, surroundings sound, material and feeling. Senses Aroused. 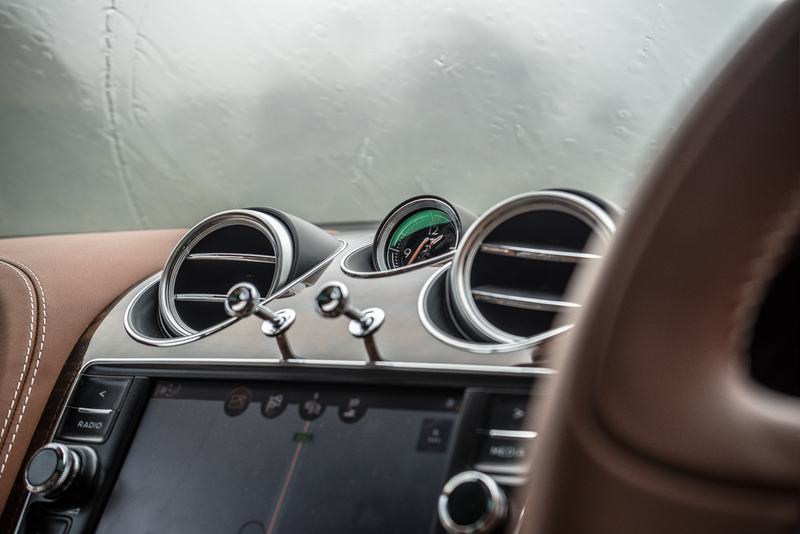 The interior of this car is nothing short of stunning, with the Bentayga already having one of my favourite interiors, the Diesel has virtually no difference. It’s so luscious. In this exact spec, we had a Verdant exterior with a Saddle Brown interior. The material work is seriously ahead of the game in regard to luxury car interiors…You will be hard pushed to find another SUV with this kind of quality on offer. The interior design itself is so brilliant that it creates a solid platform for brilliant contrasting, fabrics, textures and finishes. Good to go. 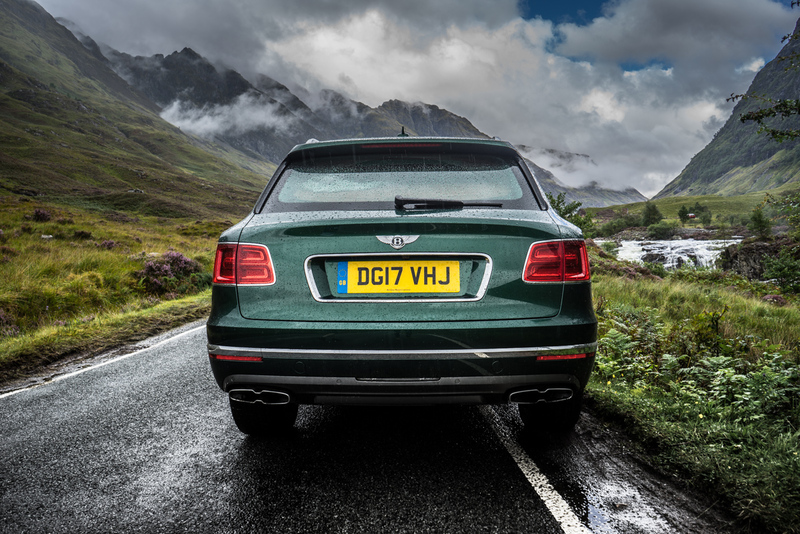 You can also opt for the Mulliner Treatment on your Bentayga Diesel. 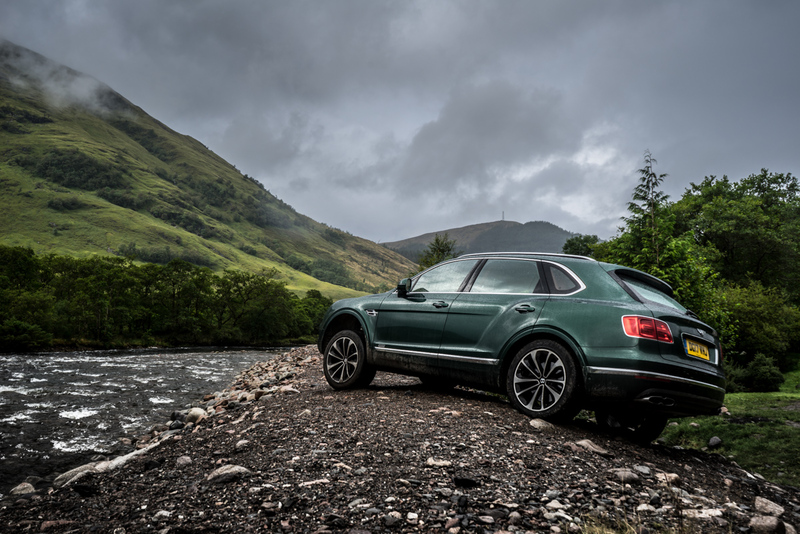 This includes specialist touches such as diamond-quilted seats, drilled sports pedals, embroidered Bentley emblems and a full choice of hide, carpet and interior colour combinations. On top of this, the infotainment is awesome. Connectivity, practicality and sensibility in each control. The large touch screen is responsive and the layout of essential command buttons are well spaced around the car and very driver orientated. You also have a massage function on the front seats with different programs to suit your needs and the seat heat/ventilation comes in handy for all season driving. 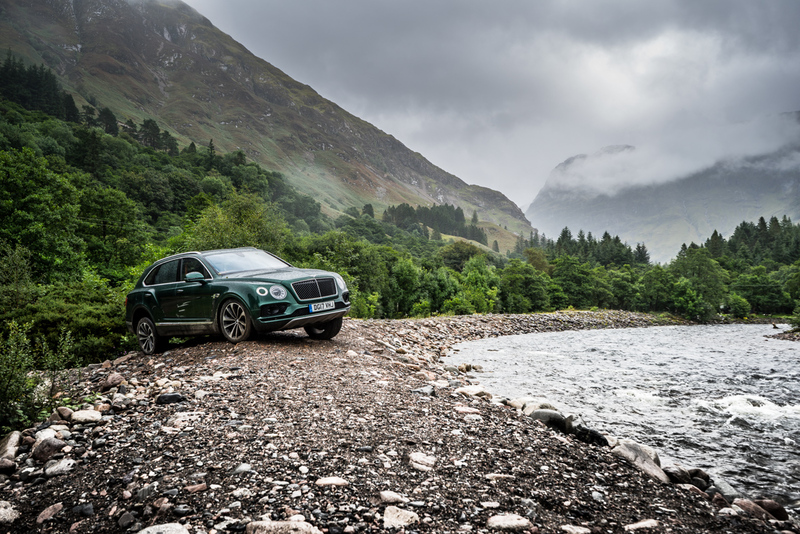 Getting back to the journey itself, the Bentayga Diesel handled everything we threw at it. 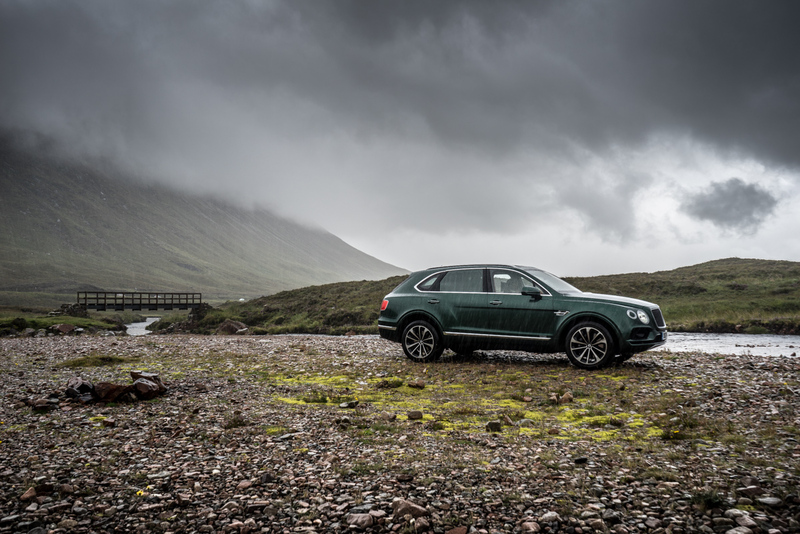 Considering some of the elements out in the Glencoe mountain passes, we experienced harsh rain, steep inclines and mud ruts all of which the car handled easily. We even drove through rock formations and streams, utilising the cars wading depth and high ground clearance. The suspension, hill decent control and chassis settings all came in to play and it was great to put the car through some real terrain tests. I’m sure the majority of people wont do this in their £200,000 luxury SUV but this car will get you out of trouble if you get stuck. Trust Me! 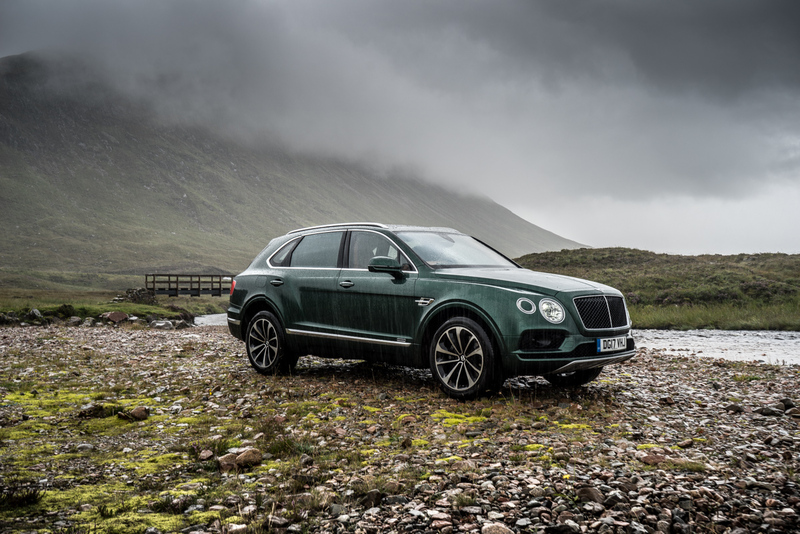 The base of the Bentayga Diesel is £135,800 but some of the options really bring the car to life, so I would recommend you read through the list extensively before making a purchase. Likely you will add another £40-60k to the price but its well worth it. 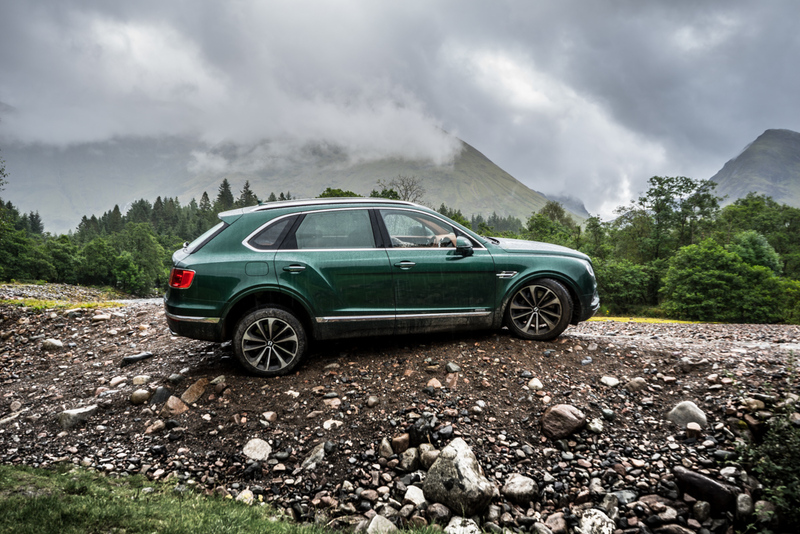 The All Terrain Specification, City Specification and Touring Specification are my three favourite extras on the spec we had from Bentley. 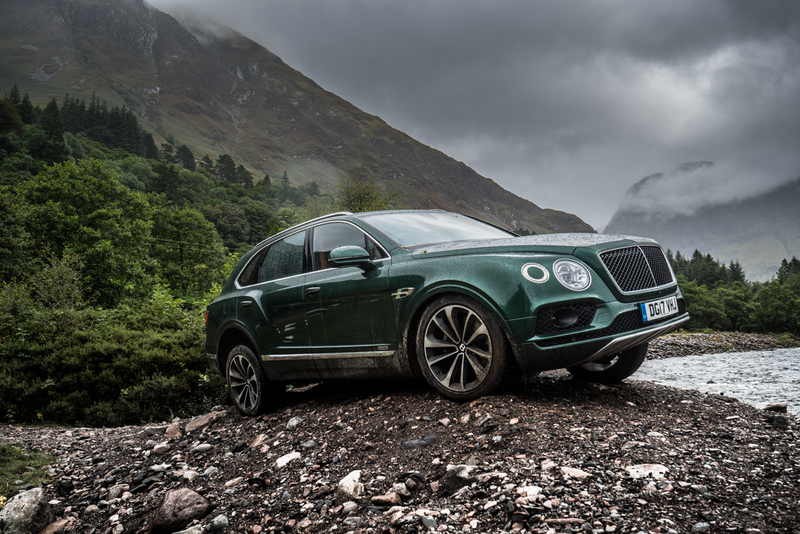 Take a look in the Bentley Configurator to customise your own Bentayga.